Sure, you’re not exactly scratching a record here, but the outcome could still be something delectable! 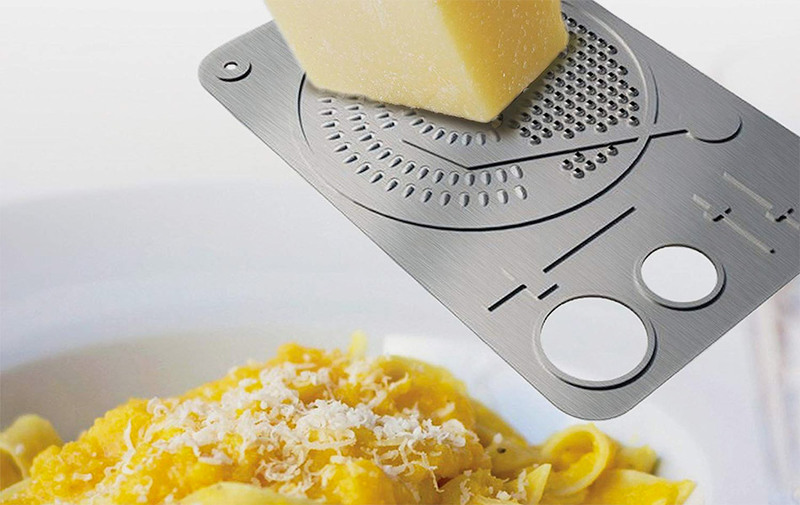 This stainless steel DJ Cheese Grater shaped like a turntable is a great gift for lovers of the club scene and music alike, and also features single and double serving spaghetti measuring holes. Your adoring crowd of the dining variety will certainly appreciate this performance!